It seems like every few years there’s a resurgence of preference for a particular style. The clean lines, geometric forms, and timelessness of Mid-Century Modern design are making a huge comeback. Maybe it’s the minimalist movement or the period piece television shows like Marvelous Mrs. Maisel or Mad Men, but either way, the classic look is here to stay. What we love about the aesthetic is the functional aspect of Mid-Century Modern design, without ornate extraneous details there is an emphasis on the unity between function and fashion, which makes this an attractive style to more practical consumers. 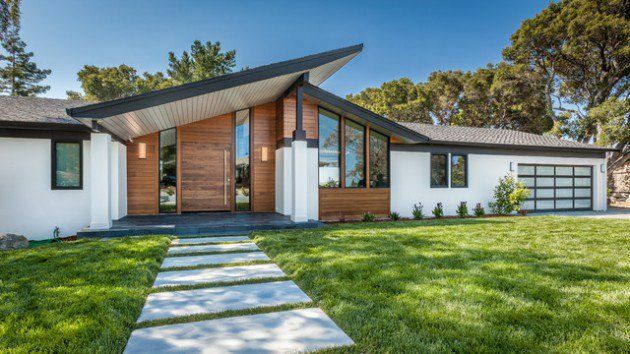 Architecturally speaking, Mid-Century Modern homes feature flat roofs, angular and often asymmetrical details, glass accents, clean lines, and wide open floor plans. The residential style is often found in ranch style and split level homes built anytime from 1935 to 1975. There are even echoes of this architecture in some modern subdivisions being built today, but they take a trained eye to notice. It’s especially popular in areas such as Palm Springs, California. Here in Gainesville, we have quite a few homes built in the Mid-Century Style, enough so that we have an event coming up – The 6th Annual Gainesville Modern Weekend March 22th – 24th 2019. Hosted by Gainesville Modern, Gainesville Modern is a non-profit organization dedicated to preserving Gainesville’s modern architectural past and promoting its future through education, advocacy, and awareness. Check out the links to events below to come through and see some beautiful homes!